Don’t let your personal information go just into the trash – shred it first for greater security! Head over to Amazon and order the 8-Sheet Strip-Cut Paper, CD, and Credit Card Shredder Only $29.99! (25% Off!) Ships for FREE on orders of $35+ or if you have Prime! 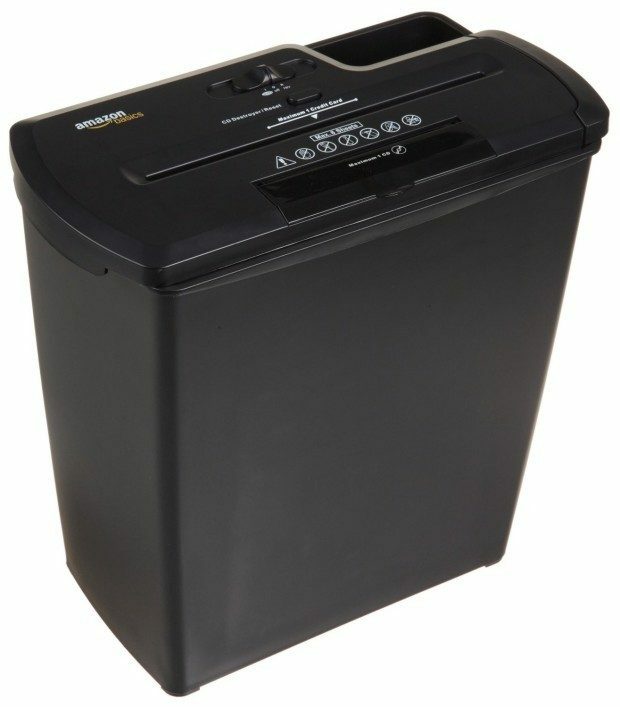 Shred multi-page documents (up to eight sheets at a time) with this AmazonBasics strip-cut shredder. The machine quickly turns paper into 1/4-inch-wide strips at a rate of 9.84 feet per minute. Use the shredder to destroy ATM receipts, credit-card bills, mortgage statements, pay stubs, insurance packets, and other old or unwanted info. It will even shred credit cards, CDs, DVDs, and Blu Rays (one at a time).